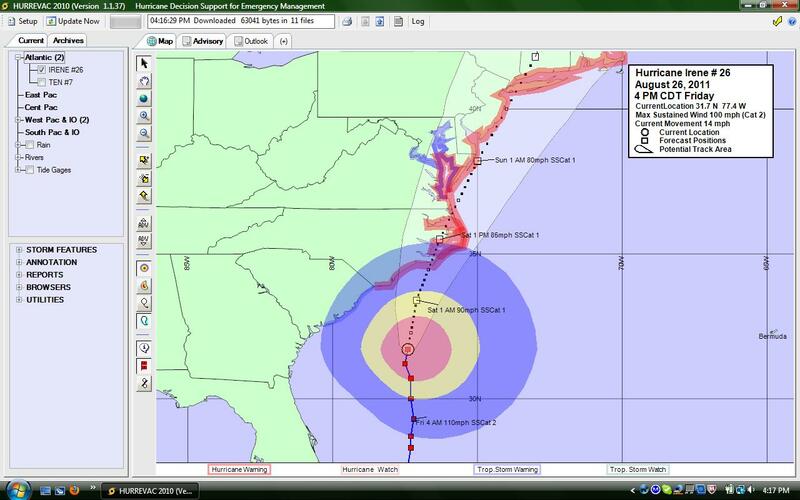 Hurricane Irene appears to have weakened slightly, but is still a dangerous storm for the East Coast. Hurricane Warnings are in effect from North Carolina to Massachusetts. Currently a Category 2 storm, Irene is forecast to weaken to a Category 1 storm on Saturday. However, due to the projected track, areas in the path will be subjected to strong winds and rain for a number of hours. As with previous posts, the first image depicts the current wind fields and error cone. 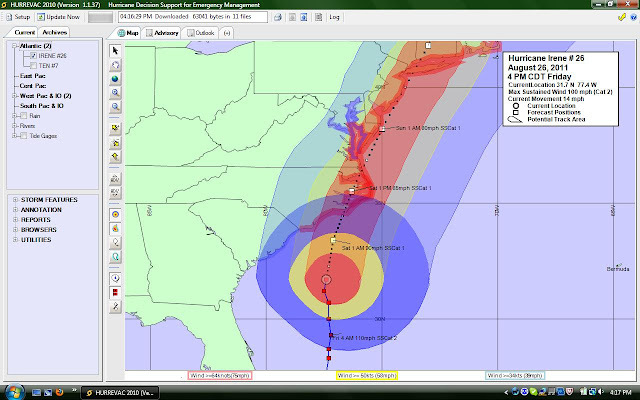 The second represents the projected wind fields along the current forecast track.